The scan utilizes proprietary software and galvanic skin response (GSR) technology to provide helpful information when making wellness decisions. 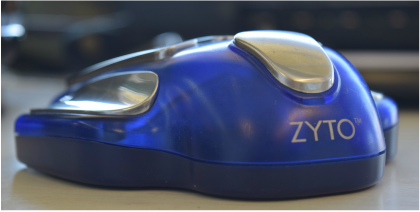 TRY OUT THE ZYTO COMPASS AT WHITNEY'S AND GET A JUMPSTART ON YOUR HEALTH! WITH THE COMPASS, WE CAN HELP YOU ADDRESS YOUR BODY'S SPECIFIC NEEDS! PINPOINTING YOUR BODY'S HERBAL AND SUPPLEMENTAL PREFERENCE, THE ZYTO COMPASS CAN HELP YOU TAYLOR YOUR NATURAL HEALTH CHOICES AND MAKE SURE YOUR'E GETTING THE BEST PRODUCTS FOR YOUR NEEDS! "TECHNOLOGY USED BY THOUSANDS OF HEALTH PROFESSIONALS AROUND THE GLOBE, THE ZYTO COMPASS IS THE LEADING BODY COMMUNICATION TECHNOLOGY." ZYTO technology does not treat, cure or diagnose. It is a tool designed to assist the individual in finding the body’s preference for any list of items. This information is used to make better decisions about personal health and preference for nutritional supplements. Even though this information has obvious value, the results of a Compass assessment are not diagnostic. Come down and get your Compass scan and a chart of the herbs that will be most beneficial to your body and what it needs right now.